Helen here! Hope you are doing well on this fine Wednesday. If you have not checked out our blog anniversary giveaway, go and try your luck! I am back today to review the Inisfree Olive Real toner. I reviewed the lotion from the same skincare line a couple months ago, so it is only fitting that I review the toner as well. I have tried many lotions and toners, but not many make it on my repurchase list. 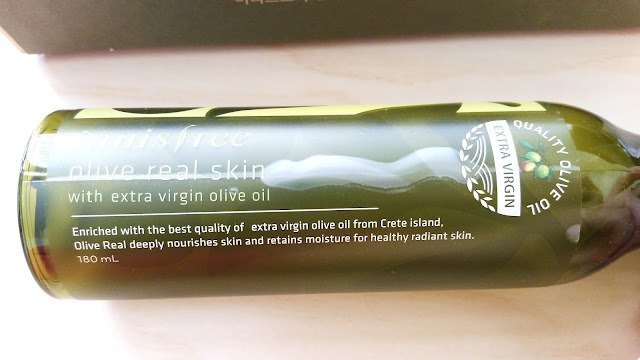 Did this Innisfree Olive Real Skin make it onto my repurchase list? Read on to find out. I really like the Olive Real Lotion and Skin (Toner) from Innisfree. They work well for my normal to dry skin. The toner is light yet soothing and prepares the skin for the rest of the skin care routine. While the lotion adds moisture and nourishment to the skin and helps the skin to retain moisture as well. For me, the toner & lotion combo is perfect and that is why I love using them together. However, while the lotion is perfect, the toner has a few slight downsides. First is that it contains alcohol. While my skin is okay with products with alcohol, I am still trying to cut back on it as some can be drying. 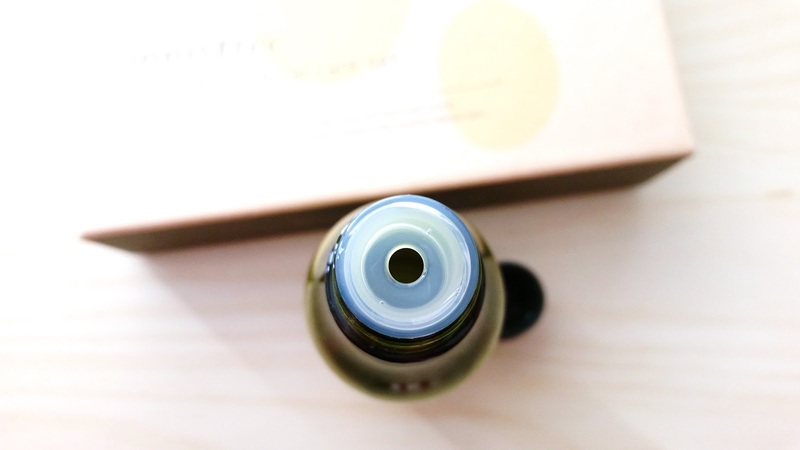 Although the Innisfree Olive Real Skin does not feel drying to me, it might still be unsuitable for those sensitive to alcohol in products. The other downside is that it does not do much on its own. Which makes it seem like the lotion is really offering all the amazing effects while the toner just adds a little. On a good note, the toner is really soothing and calming. 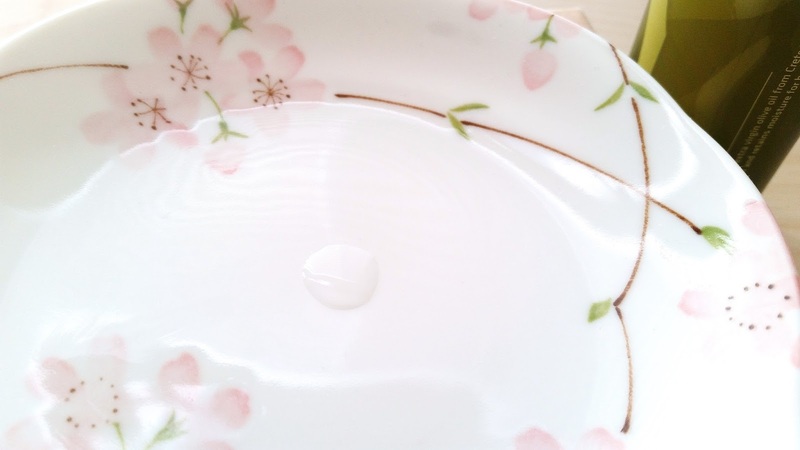 It feels hydrating when used and it prepares the skin for the other skin care products. I really like the refreshing scent it has and the watery texture makes it easy for the skin to absorb. 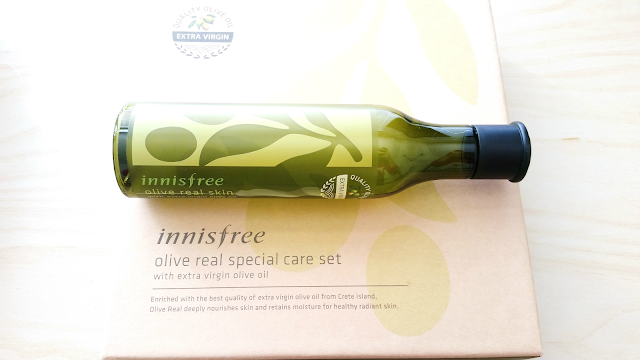 Product Description: The Innisfree Olive Real Skin is a hydrating toner formulated with nutritious olives to provide intense moisturizing effects. Olives are full of antioxidants and vitamins which can help to soothe and nourish the skin. To Use: Cleanse the skin first. Apply the toner all over face and neck. Ingredients: WATER, PROPANEDIOL, GLYCERIN, BUTYLENE GLYCOL, GLYCERETH-26, BIOSACCHARIDE GUM-1, ALCOHOL, BETAINE, OLEA EUROPAEA (OLIVE) FRUIT OIL, ORCHID EXTRACT, CAMELLIA JAPONICA LEAF EXTRACT, OPUNTIA COCCINELLIFERA FRUIT EXTRACT, CITRUS UNSHIU PEEL EXTRACT, CAMELLIA SINENSIS LEAF EXTRACT, HYDROLYZED JOJOBA ESTERS, BETA-GLUCAN, LIMNANTHES ALBA (MEADOWFOAM) SEED OIL, CELLULOSE GUM, PEG/PPG-17/6 COPOLYMER, DIETHOXYETHYL SUCCINATE, BIS-PEG-18 METHYL ETHER DIMETHYL SILANE, OCTYLDODECETH-16, PEG-60 HYDROGENATED CASTOR OIL, GLYCERYL CAPRYLATE, POTASSIUM CARBOMER, DISODIUM EDTA, STEARYL BEHENATE, POLYGLYCERYL-3 METHYLGLUCOSE DISTEARATE, POLYSORBATE 20, PHENOXYETHANOL, ETHYLHEXYLGLYCERIN, CITRUS AURANTIUM DULCIS (ORANGE) PEEL OIL, CITRUS MEDICA LIMONUM (LEMON) PEEL OIL. 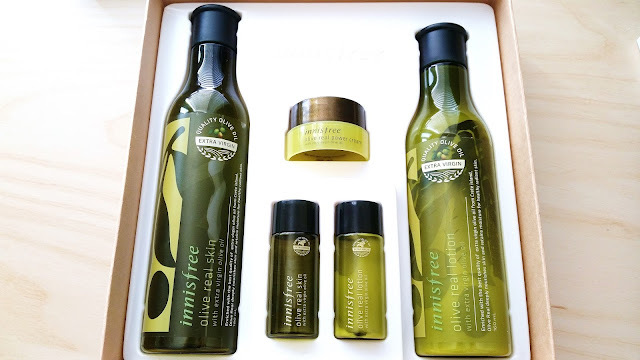 Packaging: Innisfree is an eco-friendly company so all of their products are made with that in mind. Their products are printed with soy ink and the boxes are recyclable. 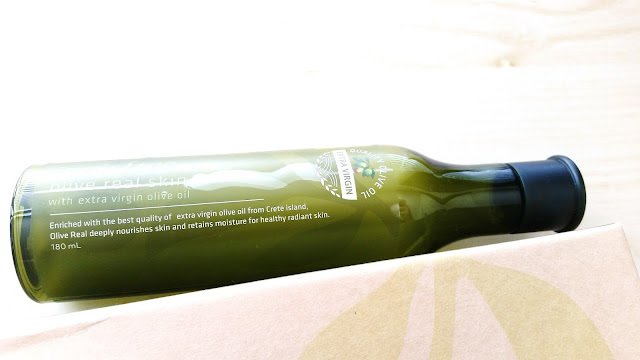 The Olive Real Skin (Toner) is packaged in a olive green bottle with a twist-off lid. Inside, there's a small plastic stopper that prevents leakage while the product is being transported. The toner has a decent size opening, making it easy to use. Since mine came in a set, I was able to find the ingredients and extra information about the product on the back of the gift box. Scent: Like the lotion from the same line, the Olive Real toner has a fruity olive scent with a hint of citrus. Color: The toner is colorless but a little opaque. Texture: The toner is watery but the texture is thicker than water. Final Thoughts: I still really like the Innisfree Olive Real Skin (Toner). It was a favorite of mine for a while, however, after prolonged use, it fell out of my favorites and is now just a product I like but not 100% love. I like pairing the toner with the lotion from the same line as it maximizes the effects of both products. However, on its own the toner is kind of basic. Will I repurchase it in the future? I am still undecided on this. I would like to find a toner with better skincare effects, however, if I purchase the lotion again I might want to just get the gift set. Do I think this is worth I try? I think if you are planning on getting the Olive Real Set, than try both the toner and lotion together as they are a great combo for normal to dry or possibly dry skin types.